Tribeca Tables Europe Ltd has announced that Sporting Index have joined the Tribeca Tables Poker Network. Tribeca now host over 150 poker and lifestyle brands including some impressive leading gaming names. Sporting Index are known as one of the leading spread betting firms on the Internet, with approximately 70% of the UK market captured. 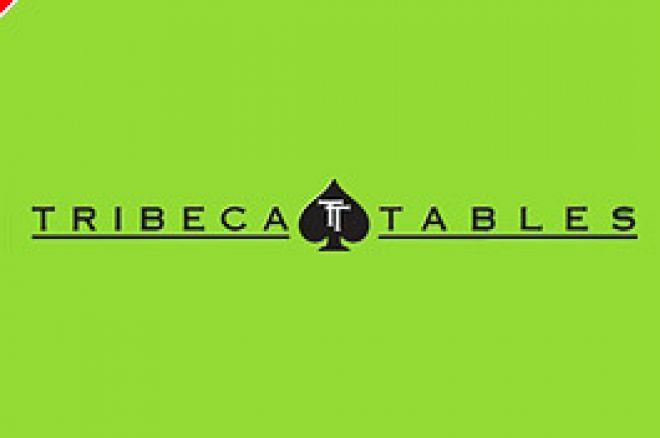 Sporting Index have selected Tribceca Tables for their much awaited, forthcoming on-line poker room. Our friend from Tribeca Tables and UK Poker News contributor, Steve Cook said, "We recognize Sporting Index’s unique position in the spread betting market and many of their customers have a very close synergy with poker. Sporting Index will be able to take advantage of the lucrative poker market with their extensive customer base. Everyone at Tribeca is extremely pleased to welcome them onboard. They are a significant signing for us and we look forward to their launch around mid September". Warren Murphy, Sales &amp; Marketing Director, from Sporting Index said, “Sports spread betting maximises people’s interaction with sporting events and dominates all other forms of betting in the provision of “in-play or in-running” betting. The challenge, interactivity and excitement generated by Poker is a natural extension of our offer. Our partnership with Tribeca will solidify our reputation as World Leaders in the provision of highly involving betting and gaming content”. Sporting Index join a host of big gaming names already on the Tribeca network, including Paddy Power Poker, BlueSq Poker, Bowmans Poker and VC Poker. Tribeca is a growing network, often with over 12,000 players frequenting the tables at one time. With regular updates to the network and software players have plenty of reasons to stay loyal. Steve Cook enthused, "We are constantly adding new software functionality and games. We are very excited to announce that we will be releasing shortly a new game designed by Tribeca called “HoldemWarz”. A wacky fixed odds shoot-out betting game for those that need an adrenalin rush! As well, we are releasing a series of casino side games; foreign language clients, a new custom avatar feature for players to upload their own pictures, graphics and text; a new play again STT feature; a seat rotation function and many more new enhancements. We are also completing our poker software integration with several other large brands and we will be releasing further details in due course." Sporting Index Poker is due for launch in September.